Formed in 2003, under the City of Kamloops Parks and Recreation Program, Pokotillo's dance year runs from Sept - July. Dancers -both male and female - range in age from 6 - adult. From January on, the group performs at a wide variety of events in Kamloops and the surrounding area. 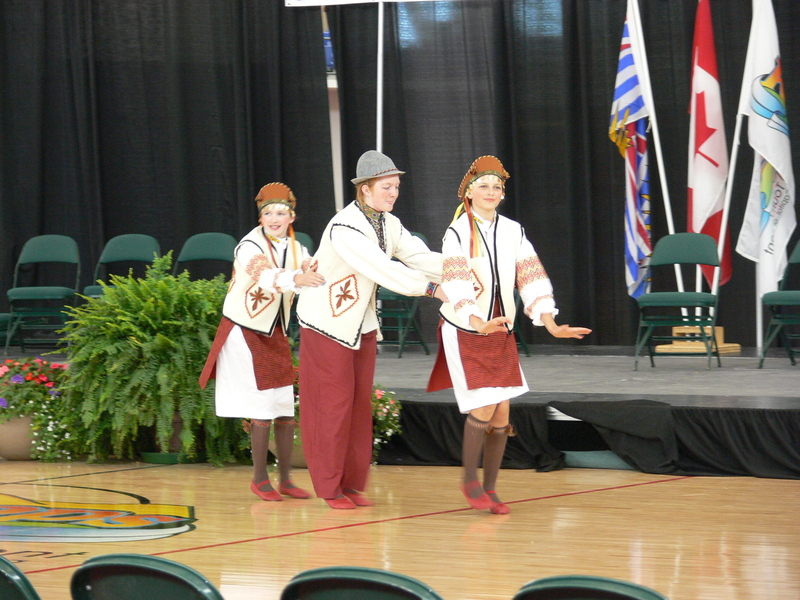 As well as Ukrainian celebrations such as Malanka (Ukrainian New Year), Pokotillo Dancers perform at a variety of venues and community events: seniors's homes; schools; weddings; and various events sponsored by the City of Kamloops Parks and Recreation Progam. The group also dances at community functions such as Canada Day and Art in the Park. Pokotillo has also performed for Sadok's Vernon Ukrainian Festival and regularly competes at the BC Ukrainian Cultural Festival in Mission, BC. Pokotillo is also a member of the Kamloops Arts Council.